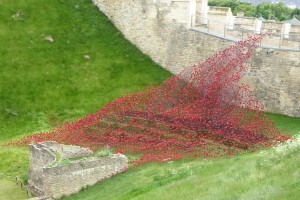 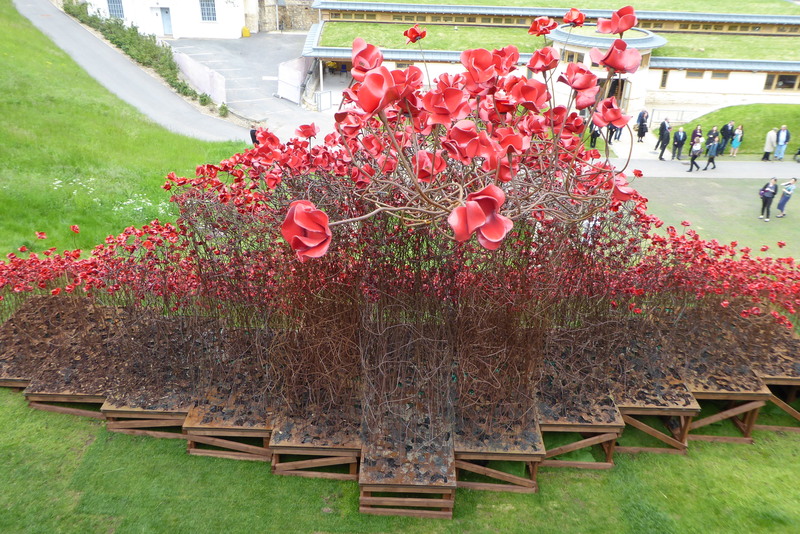 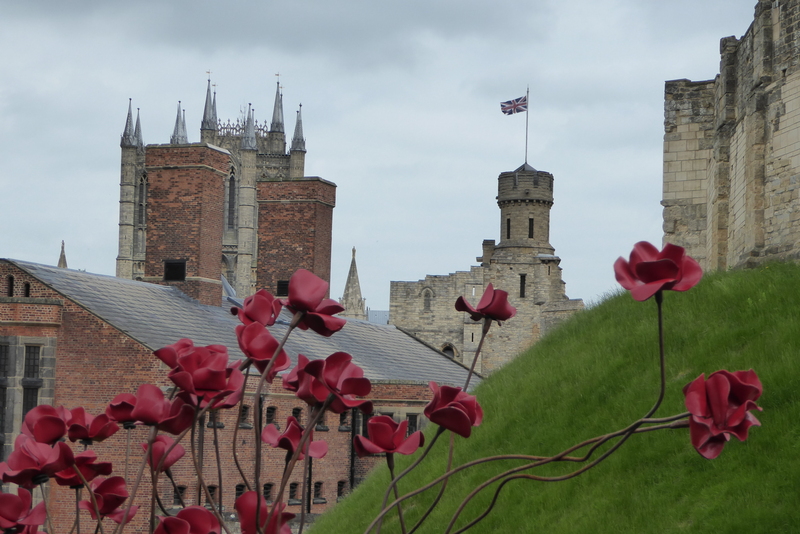 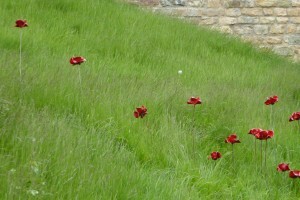 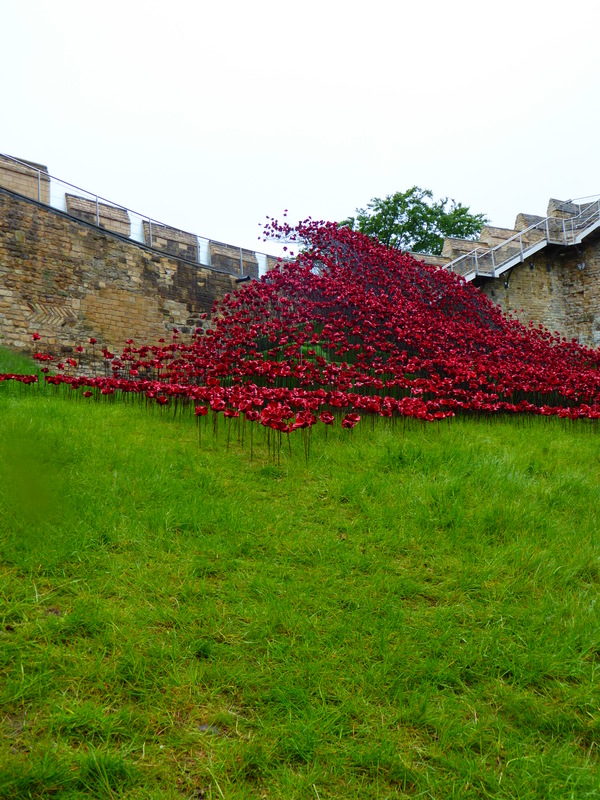 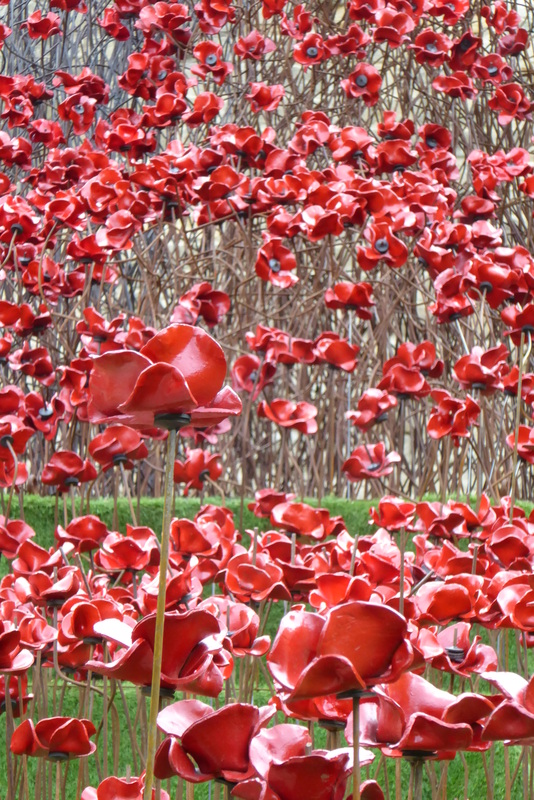 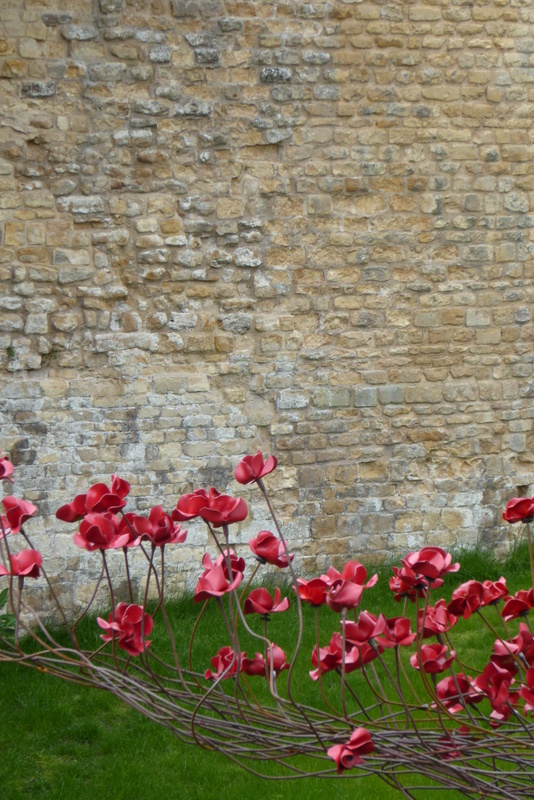 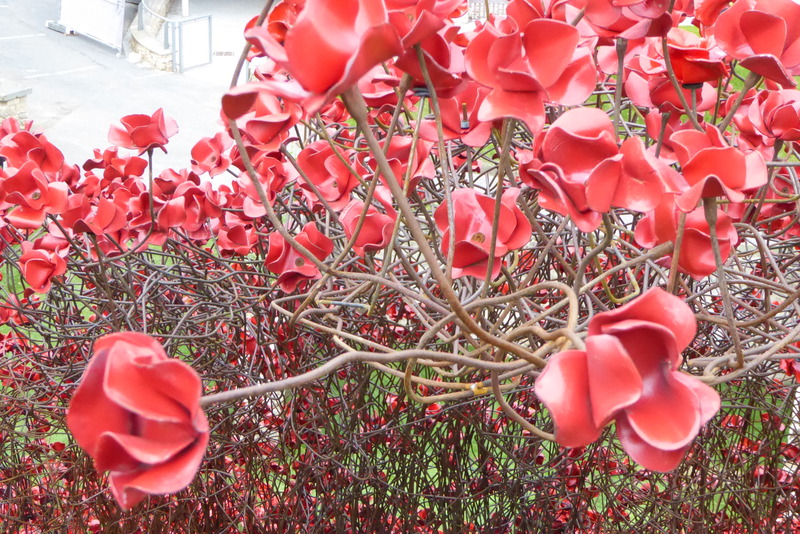 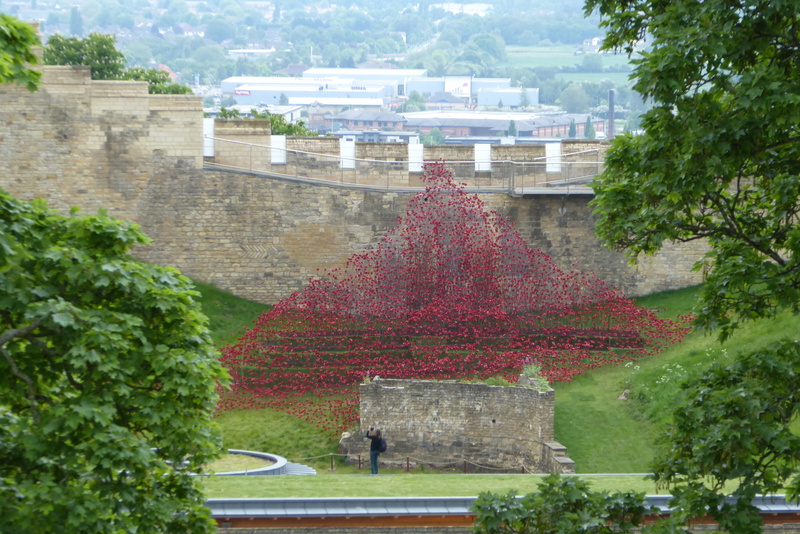 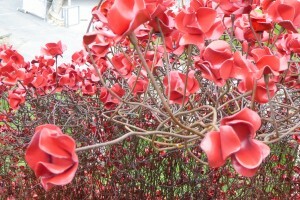 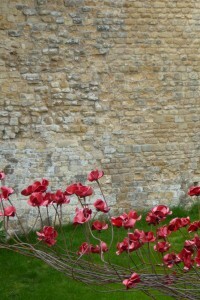 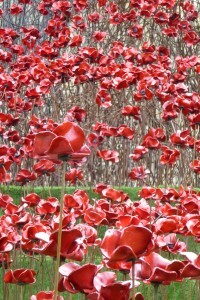 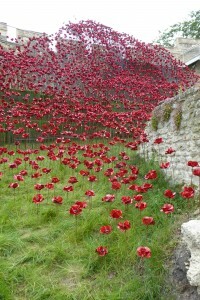 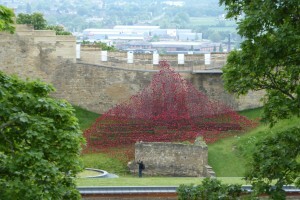 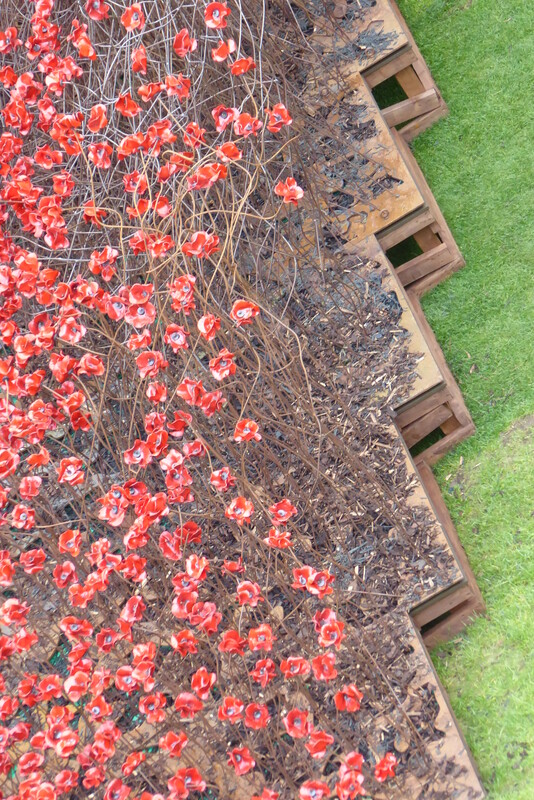 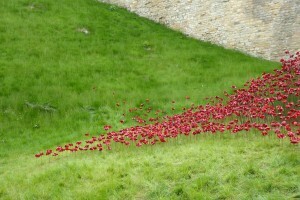 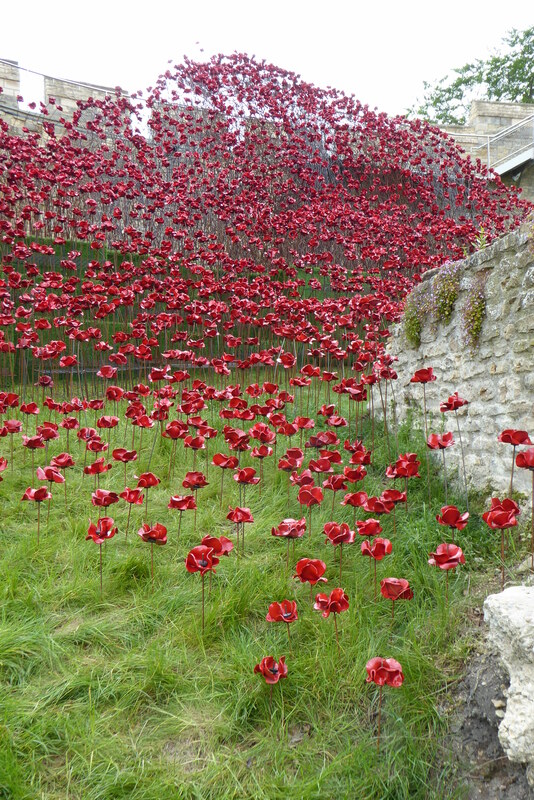 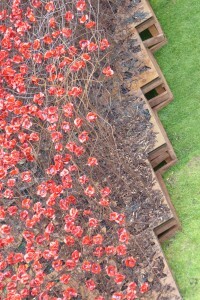 This year’s installation of Poppies Wave has opened in Lincoln ,after the watery challenge of YSP last year the team, led by Maxwell Malden, had to cope with the extreme slopes of the castle walls. 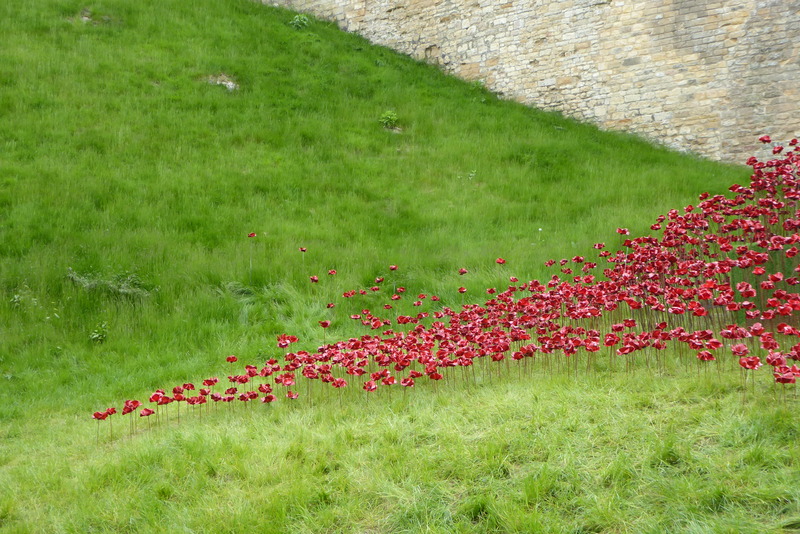 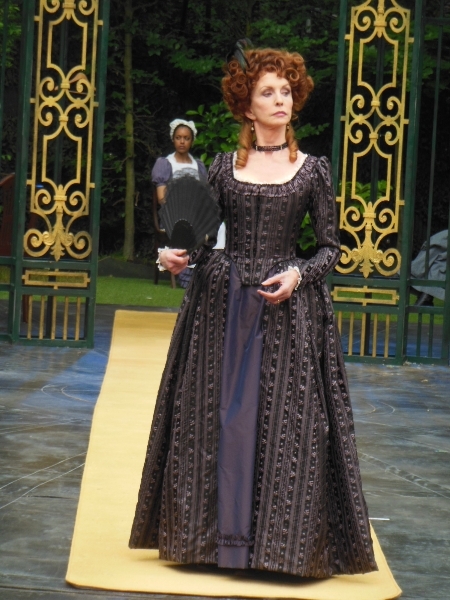 We choose to locate the wave at the lowest part of the ramparts,in a dip between two rises and fronted by a ruined wall. 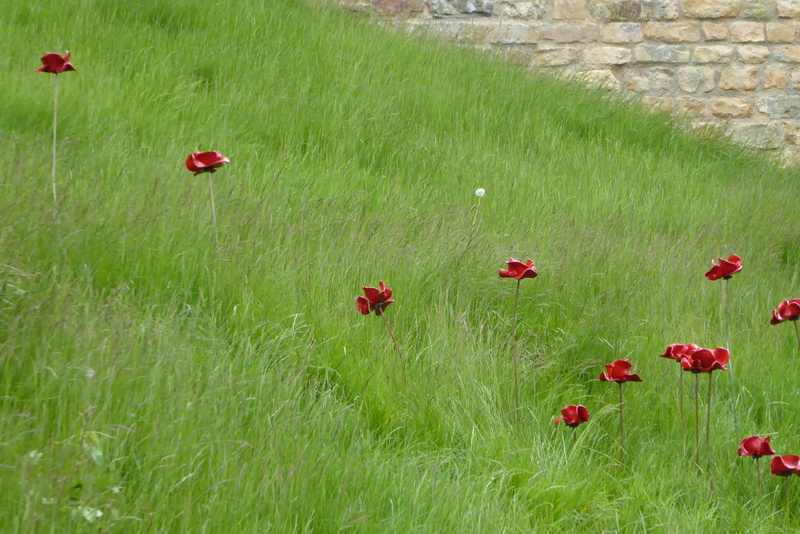 I spent an exceedingly wet final afternoon planting and ‘feathering’ the sculpture into the location , placing a few poppies breaking free from the main mass amongst the long grass. 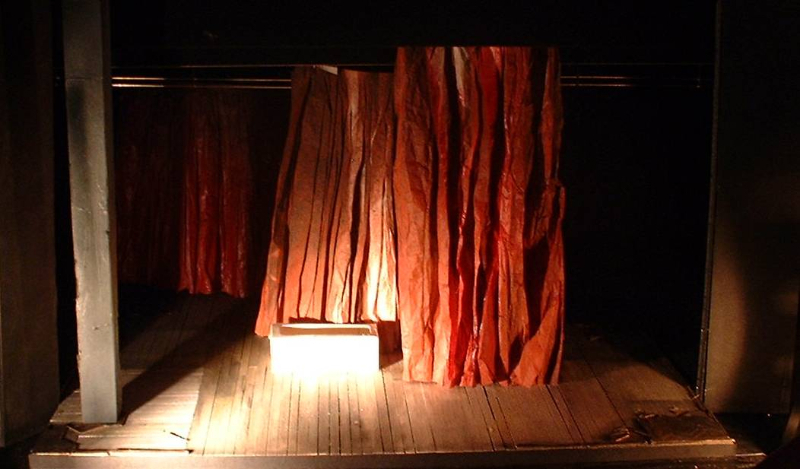 The castle gives a great variety of views and approaches to the work, either down a stone wall lined path , where the viewer suddenly comes upon it rising up to break over the walls, or longer shots framed against the landscape and the beautiful stone of the castle.